Please fill out the 'Lost a Pet' form, AND attach an image of your lost pet. Please give us the Date you lost your pet & the location last known. We must have a photo to help us ID your pet. Help! I’ve lost my pet. What do I do? First, fill out a ‘Lost a Pet?’ form and submit it! Second, give us little time, and if you haven’t received a call from us in a few days, then you can call HOPE Humane Society and make sure that your pet has not been picked up by animal control or brought in/found by a citizen. We prefer, if you are able, to come to the shelter and fill out a lost pet report and check our stray hold area to make sure your animal wasn’t brought in. It always helps to bring a picture of the animal to hang up on our lost/found board. Post information about your missing pet to the Lost and Found Pets in Fort Smith Facebook page. 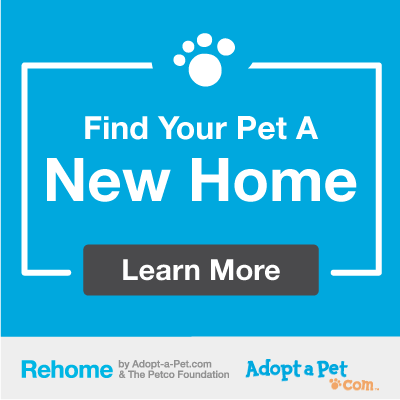 Post information about your missing pet to the Craigslist lost & found page. The return to owner fee is $19.00 per 24 hours. I found an animal in my neighborhood. What should I do? Put up “found” posters around the area. Take the animal to a vet clinic or to HOPE Humane Society to make see if it has a microchip. If you are unable to keep the animal, you should call your local animal control agency (Fort Smith is 479-709-5100). HOPE will take in stray animals from the city of Fort Smith, you will be asked to provide photo identification to prove residency. Anyone with animals from outside city limits will need to call and make arrangements to hold kennel space before bringing them in. Our fee for taking an animal from outside the city limits is $25. We will do our best to accommodate you but please be patient as we take in many animals every day. If there is an emergency, please make us aware and we will make sure that a kennel is held for you.